We are a microblender located in San Clemente and have a tea shop called Lavender Lounge Tea which has been there since 2000. We have high quality teas, unique blends and delicious textured iced teas found nowhere else. 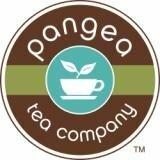 Our teas are paleo, gluten free, non-GMO, anti-inflammatory, sustainable, free range, sugar free, 0 calories, fight cancer, diabetes, plaque, cavities, blindness prevention, fight free redicals, reduce cortisol levels, weight gain and bad breath. For centuries tea has been used in alternative medicine to treat everything from cancer to constipation. Recent research supports these claims: Studies have shown that tea may protect against heart disease, Alzheimer's and many types of cancer. We also sell at Poway Farmers Market on Saturday, Rancho Santa Fe Farmers Market Sunday and occasionally do other events.